Want to tinker with locks and tools the likes of which you’ve only seen in movies featuring police, spies, and secret agents? 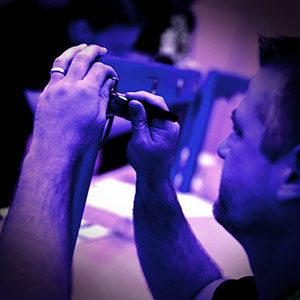 Then come on by the Lockpick Village, run by The Open Organization Of Lockpickers, where you will have the opportunity to learn hands-on how the fundamental hardware of physical security operates and how it can be compromised. 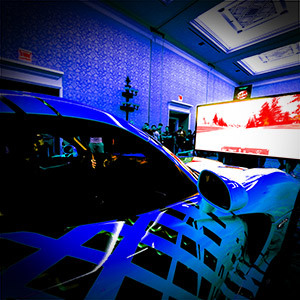 Car Hacking Village is an interactive, hands-on experience. There you can use vehicle network tools, software, and electronic control modules to learn or practice vehicle hacking. Connect to cars where you don't have to worry about breaking. Bring your laptop and RF tools to play our Def Con China CTF. Learn about Key Fobs, CAN Bus, Automotive Ethernet, and vehicle electronics. The CHV will host several hands on work shops throughout the day, please check out the village or CarHackingVillage.com for information. Recon Village is an Open Space with Talks, Live Demos, Workshops, Discussions, CTFs with a common focus on Reconnaissance. The village is meant for professionals interested in areas of Open Source Intelligence (OSINT), Threat Intelligence, Reconnaissance, and Cyber Situational Awareness, etc. with a common goal of encouraging and spreading awareness around these subjects. Come join us for hardware hacking, teaching, learning, and exploration. We help you make your own use for things. We provide the tools and supplies for your hardware hacking pleasure; our volunteers help facilitate that. We might not have every tool under the sun, but we can help cobble something together in order to break, make, and repurpose. The Packet Hacking Village is where you’ll find network shenanigans and a whole lot more. PHV welcomes all DEF CON attendees and there is something for every level of security enthusiast. This village was created to help enlighten attendees through education and awareness while focusing on defense and blue team techniques. At Bits and Blocks we showcase networks built on blockchain technology. Applications controlling assets with distributed transactions are examined. Mandarin speakers and English speakers are welcome to experience a free blockchain workshop for beginners in the Bits and Blocks village. Developments at BAT (Baidu, Alibaba, Tencent) as well as IBM, Amazon, and Opensource projects like cryptocurrencies and the Hyperledger are explained. Please come to Bits and Blocks to share your blockchain experience and meet other security engineers. For advanced hackers, Bits and Blocks features detailed guidance on the Schnorr signature algorithm, the cryptographic Merkle tree, and confidential transactions. Several hardware projects showcase developments in device driven blockchain applications. As innovations in Blockchain Technology are making new breakthroughs every day, we have a lot to catch up on security front. Blockchain Village at DEF CON brings the latest of cool and exciting research, breaches, hacks, discussions, innovations and papers with hands workshop all focused on Blockchain Security. Artificial Learning techniques are becoming more prevalent in core security technologies like malware detection and network traffic analysis. Their use has opened up new vectors for attacks against non-traditional targets, such as deep learning based image recognition systems used in self driving cars. There are unique challenges in defending and attacking these machine learning systems that the security community needs to be made aware of. This AI Village will introduce DEF CON attendees to these systems and the state of the art in defending and attacking them. We will provide a setting to educate DEF CON at large through workshops and a platform for researchers in this area to share the latest research. 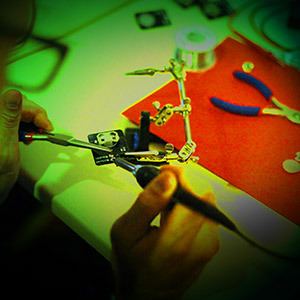 BugZee soldering Village is here to teach soldering and basic electronics in the most creative and fun way possible. Since hackers love bugs, we took inspiration from nature and OWASP logo to make an electronic rendition of a bee. We call it BugZee and it's our tribute to the OWASP community. Its entirely made out of electronic components and stands tall on its resistor legs. When soldered and powered to life, it moves around making a buzzing sound and glows wings in the dark. It's very intuitive and not too technical for anyone and everyone who wants to learn to solder or just wants to have a physical rendition of OWASP hacking bug. Black window village offer the basic physical penetration teaching for participant. We also build the model office for the participant to try the physical penetration. Content include the least of bypassing infrared alerts, drop the detectaphone, stealing the secret files and so on. You can defend better only when you know how to attack. Physically experiencing the physical penetration protection helps protect the property of your individual and your enterprise.